My current skincare routine is not exciting at all because I’m in a path of using Retinoic Acid as prescribed by the dermatologist. So there’s not much active ingredients that I can include within my #deszellskincarearsenal. However, when you’re in Retinoic Acid journey, sometimes that’s killing me is the dehydration and the texture of the skin that feels worst before it gets better. Especially that I’m currently fasting, the dryness and dehydration are severe. 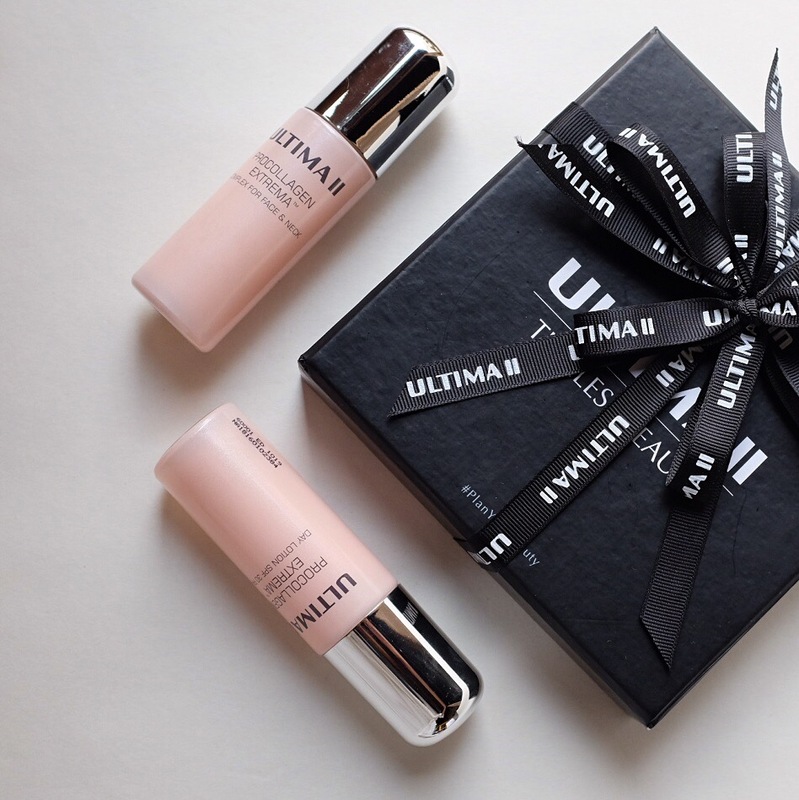 So when I received this ULTIMA II ProCollagen range, I was welcoming them with open arms. I have such high hopes looking at the ingredients alone. But first thing first, what does this range do? It targets four early signs of ageing (or ageing in that matter) that are wrinkles, lost of elasticity, dullness and roughness. There are several stellar ingredients list here but nothing too “strong”, for lack of better word to explain, but it’s also effective. Hydroxyproline is known for its skin-conditioning properties and often found in collagen and elastin. Collagen helps the building block of our skin to keep it looking youthful, smooth and doesn’t collapse. Skin will look more elastic and enhanced in terms of texture. It’s also known as a great cell-communicating ingredients, which as the skin age the cells within the skin decrease in its ability to communicate with one another. It’s what you want your anti ageing ingredient to do. Sodium Hyaluronate which add and maintain hydration and hence enhance the look of the skin to be less dull and rough. Witch hazel and Willow Bark that smoothen and tighten overall look of the skin. Horse Chestnut Seed is high in Saponins, Flavonoids and Fatty Oil that alltogether will nourish the skin. I’ve been talking about antioxidant serum for so long now, I’ve even reviewed several that I’ve used so far here. I think they’re important as a way to prevent and maintain your skin to be at their tip top condition as well as to evades and neutralises the negative effect of UV rays. With that said, I have yet to see significant change in my skin when I’m using antioxidant serum. I do however see how significantly my skin look easily tired, getting more sensitive because of the UV rays and way easily tanned when I’m not using antioxidant serum. I think the effect is more on when I’m not using it, my skin isn’t as fit. But that is until I had my eczema attack and I can’t use sunscreen because my derm is afraid that my skin will react negatively against the sunscreen ingredients. After almost a month of not using sunscreen and my skin didn’t get tanned easily, looked dull and greyish and my complexion remained even tone, I know how excellent my antioxidant serum is and it truly works! What did I use? I used the Yuli Skincare Liquid Courage which is pretty steep in terms of price at USD 50 for a trial size of 7.5ml and USD 125 for 30ml. At today’s exchange rate that is pretty wow. I considered myself lucky when a fellow skincare enthusiast that I get acquainted on Instagram offer me this bottle because it didn’t suit her. 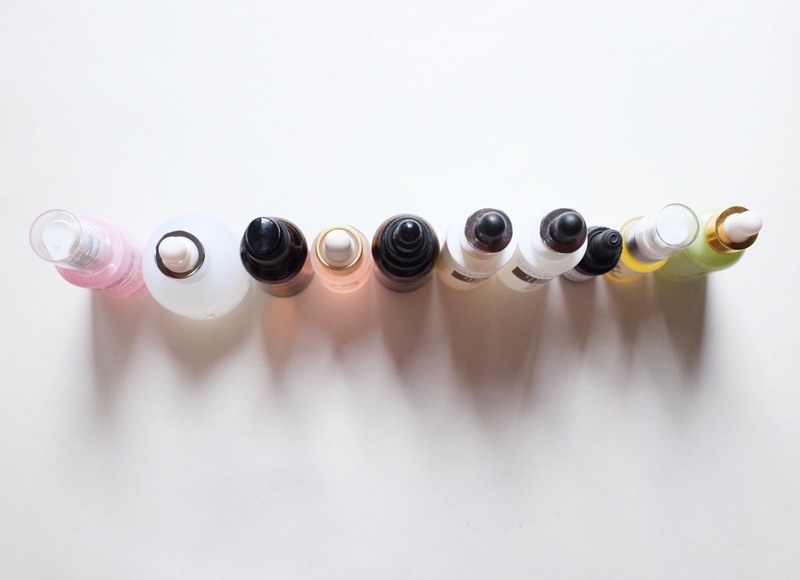 Few weeks back, I shared the serums that I used during that period of time. Much of it stay but some of it have to go. Because they’re finished. So I need to add some more serums into the mix to keep things going. For the last couple of weeks my main concern have been hydration. Because of the constant use of retinol and acids my skin is really dry. But they’re necessary to tackle my acnes and also the spots. But all of it came with a price of dry and parched skin. So last month and this month, not only that I focus on texture but also hydration. Want to know what are they? After the jump! I’m always adventurous when it comes to skincare. I’m a loyal customer of Cult Beauty, they have great product lineup when it comes to skincare and really great customer service. With that said, I also love to lurk around for the brands selection at Cult Beauty and looking for their review. One brand that come to my attention was Su-Man that created by facialist to the starlets of Hollywood Su-Man Hsu. Anne Hathaway described Su-Man Hsu’s facial “a life changing experience”. That got to mean something, right? In Cult Beauty you can purchase the discover set called Skin Reborn Essential Discovery Collection for the price of £50 which contains Purifying Cleansing Gel-Oil (40ml), Exfoliating Facial Polish (40ml) and Velvet Skin Brightening Serum (15ml). The serum alone costs £98 for 30 ml which means you’re paying for half the full size of the serum and you get the cleanser and exfoliator for free! Since I was curious about the brand, I leap without thinking and got myself the whole set. So here’s my full review regarding the three products in the set. You’re forewarned, this is going to be a lengthy post because it consist of three products review.